Close-up of portrait of Bob Dylan. Richard Avedon, Copyright 1963. Of all the responses to Bob Dylan’s Nobel, my favorite comes from Leonard Cohen, who likened it to “pinning a medal on Mount Everest.” It’s a brilliant line, pure Cohen—all dignity and poise, yet with an acid barb. Not only is Everest in no need of a medal, the attempt to fix one to its impassive torso (imagine the puny pin bending back on first contact) is metaphorically all too apt for the Nobel committee’s current quandary. To the surprise of exactly no one, Dylan has yet to respond to the award, and it seems more and more doubtful that he will attend the ceremony. As someone who spends part of my professional life thinking about Dylan, I wince at this; just as I was asked to weigh in by a few journalists on the day of the award, I worry I will also be held to account for his churlishness, guilty by scholarly association (not to mention home state—I’m a Minnesotan too). One thinks of “She Belongs to Me,” in all of its startling economy, a compression that even fuses literary registers. The third line—“She can take the dark out of the night time and / paint the day time black”—is at once a “perfect blues line” and a nod to the Symbolists who so captivated Dylan: Rimbaud’s hued intoxication (“J’ai rêvé la nuit verte aux neiges éblouies”/ “On green nights I’ve dreamt of dazzled snows”), Verlaine’s celebrated musicality. Yet here the “musicality” is more literal: this is a song, and it lives in the singing. Note first the preponderance of monosyllables. The only exceptions are the aptly generous “everything” and the “artist” who possesses it. 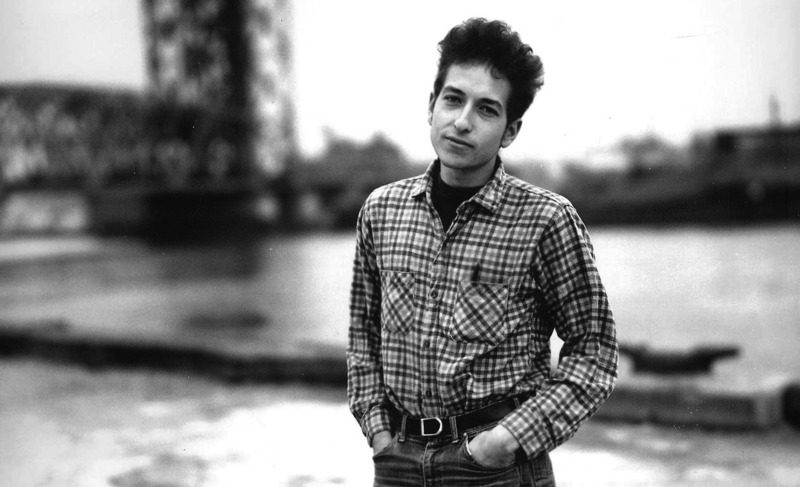 Otherwise, each word pings out a single syllable, its vowel ripe for the work of Dylan’s idiosyncratic voice. In the studio recording of January 14, 1965 that voice does its work within a gentle groove that studiously avoids indexing the blues. Eighths are straight, not swung—Bobby Gregg’s drums all tasteful rim-shots and brushes—and Bruce Langhorne’s guitar punctuates Dylan’s sung lines with rippling sixths that are about as far from the blues as one can get. And then there’s the harmony, which swerves from 12-bar expectations precisely at the word “dark,” with one of the brightest harmonies in Dylan’s vocabulary: a major II# chord, which eases into a diatonic IV at “paint the day time black” (the paradoxically nocturnal raised fourth scale degree of the II# chord lowering to a diatonic fourth degree in IV, under pressure of the artist/lover’s brush). Even more striking, this is a classic Beatles progression, I–II#–IV–I, which had been chiming joyously out of radios and record players since “Eight Days a Week” was released on December 4th, 1964, just over a month before Dylan entered the studio. Whatever influence that song may have had on Dylan here (and he was, recall, the band’s most famous superfan at this point), his singing resists the Beatles’ ecstatic vocal delivery: in contrast to their sharply etched tune, he lazily drapes his voice over the shimmering harmonic swerve, rising nonchalantly to a tonic A3 plateau at several points in the line (“dark” and “paint” receive particular emphasis). The result is an exquisite equipoise of light and dark—verbal, musical, vocal, instrumental—its density of connotation exceeded only by the grace of its execution. 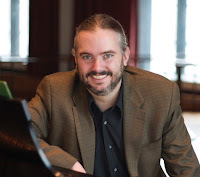 Steven Rings is Associate Professor of Music and the Humanities at the University of Chicago, where he has taught since 2005. His research focuses on popular music, voice, and transformational theory. His first book, Tonality and Transformation (Oxford, 2011) received the Emerging Scholar Award from the Society for Music Theory, while his 2013 article “A Foreign Sound to Your Ear: Bob Dylan Performs ‘It’s Alright, Ma (I’m Only Bleeding), 1964–2009” received the Outstanding Publication Award from the Society for Music Theory’s Popular Music Interest Group. Rings is currently expanding ideas from the article for his second book, on Bob Dylan as musician. Update: On October 28—just over two weeks after the prize was awarded—the Nobel Foundation announced that Dylan had called them to accept it. He was surprisingly gracious, saying that it “left [him] speechless” and that he appreciates the award “so much.” True to form, however, he has yet to confirm whether he will attend the ceremony. Bob Dylan, Chronicles, Vol. 1 (New York: Simon & Schuster, 2004), pp. 283–85. Michael Gray, Song and Dance Man III (New York: Continuum, 2000), p. 275.